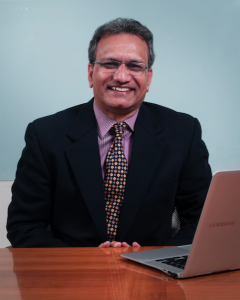 Dr. Ajay Kela is the President & CEO of the Wadhwani Foundation. With 30 years of experience managing global software businesses under his belt, Ajay came on board the Wadhwani Foundation in 2009, full time. Ajay now spearheads the Foundation’s initiatives across the globe. Ajay is an alumnus of IIT Bombay and the University of Rochester. Ajay shares his thoughts on the Wadhwani Foundation’s initiatives, entrepreneurship in India, challenges, and the growth accelerators needed to unleash the true potential that India holds. Here are the few takes from the conversation with Bizztor. Key factors that will play major role in fostering entrepreneurship in India? To realize the full potential of and provide a fillip to the startup culture in India, we have to address key issues involving education, talent development, innovation, policies, financial infrastructure, incubators and accelerators, mentor and investor pool. The solution lies in creating multiple Silicon Valley style entrepreneurial ecosystems in India that support full lifecycle of entrepreneurs, who in turn can produce innovative local and national solutions. Such ecosystems should include colleges that emphasize entrepreneurship education which should ideally be a blend of both online and experiential learning, a local network of mentors, investors, and incubators that an entrepreneur can tap into on-demand and a slew of startup and growth-friendly measures like online single-window 24-hour registration and clearance, simplified online reporting to local, State and Central authorities, IP protection, flexibility in hiring and firing, relief from labor laws regardless of scale, bankruptcy etc. Corporates should also come forward with supporting incubation centers through mentors and technology/resource partnerships. Nurturing and building such ecosystems through community networks, local businesses, and government partnerships will go a long way in fostering entrepreneurship in India. What should a budding entrepreneur bear in mind to create a long-term sustainable model? 1. Research & Analysis: Market research – analysis of market and competitors, input from influencers, and dipstick of potential customers will help startups find their niche and will also unravel if there is a long-term appetite for their business idea. A careful survey of failed startups determined that 42% of them identified the “lack of a market need for their product” as the single biggest reason for their failure, thus highlighting the importance of proper pre-launch and idea-led homework. 2. A strong support network: Entrepreneurship can be very lonely as it typically demands company for constant advice. Developing a network to fall back on is vital, especially when times are difficult. Experienced entrepreneurs, mentors, startup peers and also support professionals like lawyers and accountants are an ideal advisory pool that can stand your business in good stead when circumstances are tough. 3. Look for early growth: This is one of the big signs of future success, accounting for some of the biggest startup inhibitors – cut-throat competition, waning customer interest, and employee turnover. 4. Build a core team that is willing to go through the grind: It is very important to assemble a team that shares the vision, perseveres in demanding times, is willing to get hands dirty, has a flexible approach to product modifications, compensation, marketing and branding strategy, and even reinventing the business model. 5. Be clear on your revenue model: Decide early where and when money will come from, set milestones and metrics, and work to a plan. One of the major reasons why startups fail is that they “run out of cash”. That’s the reason why startups should be clear on the funding matrix. Do they require investor money in early stages? Or are they going to manage with internal accruals? Investors are now looking for businesses that have sustainable unit economics, and to be gross margin-positive in the first year is a strong signal to the investing community. 6. Customer Service is the magic key to sustainability: In this age of strong social media and word-of-mouth, satisfied customers are your biggest ambassadors. Customers expect to be delighted in all phases of the product or service life cycle; understanding features, pricing alternatives, returns, problem resolution and most importantly the last mile delivery. Hence, customer-centric processes and focus are mandatory to any viable business model. 7. Innovate for marketing to break the clutter: Marketing is all pervasive, but also expensive and not always result-oriented towards sales support. Startups should have a two-fold approach; a) to offset marketing costs especially in the mass media by building media partnerships b) to aggressively use social media and digital marketing as the most cost effective, fast emerging and potent weapon to create brand equity and awareness, and generate a targeted customer base. How young entrepreneurs can get help from NEN? Wadhwani Foundation’s flagship initiative, National Entrepreneurship Network (NEN) has trained over 3000 faculty across 500 Institutes, who now regularly offer entrepreneurship courses to more than 100,000 students annually. Coupled with classroom education, providing hands-on support through 400 student clubs to aspiring entrepreneurs has resulted in over 2000 startups to-date. NEN is now expanding to 3000 Institutes, and aspiring entrepreneurs should look to be part of these colleges and Entrepreneur Clubs. Mentors: through online video-enabled mentoring clinics, and a cloud-based global mentoring platform with more than 200 mentors from India, Pakistan, Indonesia and Malaysia, workshops connecting mentors (professionals, investors, and entrepreneurs) to aspiring, early-growth entrepreneurs. Investors: NEN’s ‘Funding Program’ helps entrepreneurs learn basics of investments, connects with investors and bankers, and prepares them to raise funds through ‘Pitch labs’ and ‘Loan Connect’ through government schemes and new age NBFC entities. Wadhwani Foundation and NEN have recently ventured into a partnership with Government of India to scale this effort across thousands of colleges in the country. Simultaneously, the Foundation is building city based entrepreneurial ecosystems consisting of entrepreneurial colleges, local mentors, investor and incubators that collectively could shore-up entrepreneurial activity and success rate of startups within these city-based ecosystems. Intro of Wadhwani Foundation and how it is helping Indian Entrepreneur Ecosystem? Skills Development Network (SDN) aims to equip non-college-bound high school graduates with sufficient work-skills to command family supporting wages. Today, SDN works across 3000 high schools and with over 200,000 students and is embarking on scaling this to 15,000 to 20,000 schools over the next three-five years, in partnership with the Central governments. SDN is also working to transform post-secondary institutes (such as it is in India) to modern manufacturing training hubs and multi-skill institutes, and finally with employers to engage in providing adjunct faculty, internships, and apprenticeships. Opportunity Network for Disabled (OND) mainstreams the educated disabled into sustainable, high-quality corporate jobs through a business value proposition. 8,000 people have been placed through this initiative and OND, in partnership with the government and industry is building capacity to place 100,000 over the next five years with the ultimate goal of mainstreaming the disabled in emerging economies. Research and Innovation Network (RIN) aims to create a world-class innovation ecosystem in India with the goal of propelling India towards the top ten innovative nations in the world. The Wadhwani Research Centre for Biotechnology (WRCB) at IIT Bombay and Shanta Wadhwani Centre for Cardiac and Neural Research (SWCCNR) at NCBS, Bengaluru, are the two pioneer centers set up by RIN. The Startup and Small Business Innovation (SSBI) initiative aims to create national ecosystems in critical sectors of high importance through hundreds of innovation challenge grants. The Foundation envisions creating partnerships with various central government organizations to initiate innovation grants to 25,000 companies over five years as part of the SSBI Initiative. Policy Research Center (PRC) provides data-driven research inputs for informed policy action towards accelerating economic growth through entrepreneurship, innovation and skill development. PRC has assessed the performance of two of India’s most comprehensive and largest programs initiated by the Department of Biotechnology and administered by Biotechnology Industry Research Assistance Council (BIRAC) – SBIRI and BIPP. The assessment led to evidence-based recommendations for policymakers to improve impact and scale of innovation programs in small- and medium-scale industries. Dr. Ajay Kela, President and CEO, WF speaks to ‘Directorial’ on philanthropy and CSR.